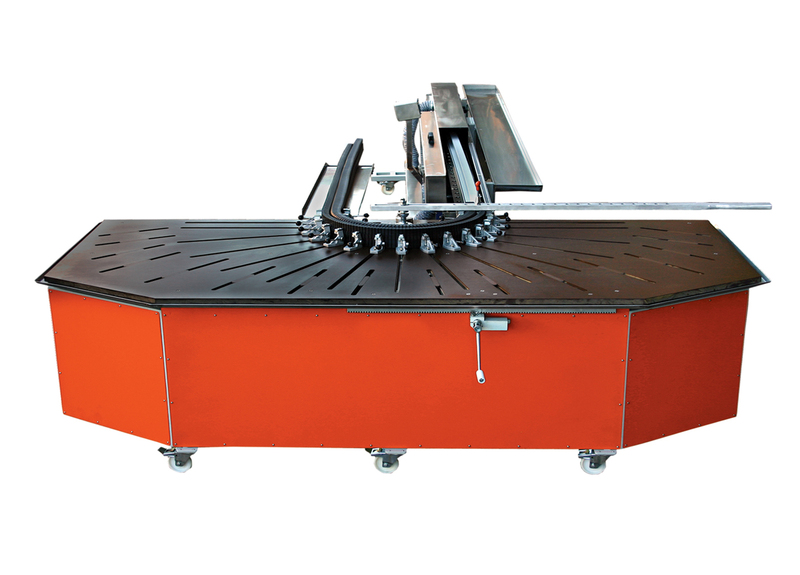 The manual vinyl (PVC) profile-bending machine is used for bending vinyl profiles to form an arch. When required, a tail of 100 mm (4″) in length may be allowed to facilitate the welding procedure. 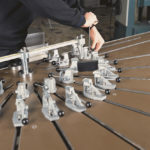 15 exterior and 15 interior mould holder aluminum set squares are inserted into the T-channels on the work bench to support the bending moulds. The bending moulds may be fixed to a desired diameter by using the aluminum set squares. The top spandrel may move to both sides, the left or the right, approx. 400 mm (16″) with an aid of a gear. These are heat resistant and flexible. 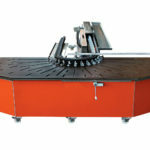 The Interior spades prevents the profile from deteriorating when working at small diameters. The internal spades are formed from a material similar to the moulds. 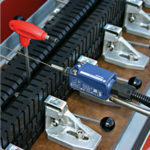 Distance gauges and aluminum mould holders can bend glass bars without adjusting. The central compass lengthening bar is used for radiuses over 950 mm (37″). It may be assembled to the working bench. It may also work as a centering device for the traction apparatus. 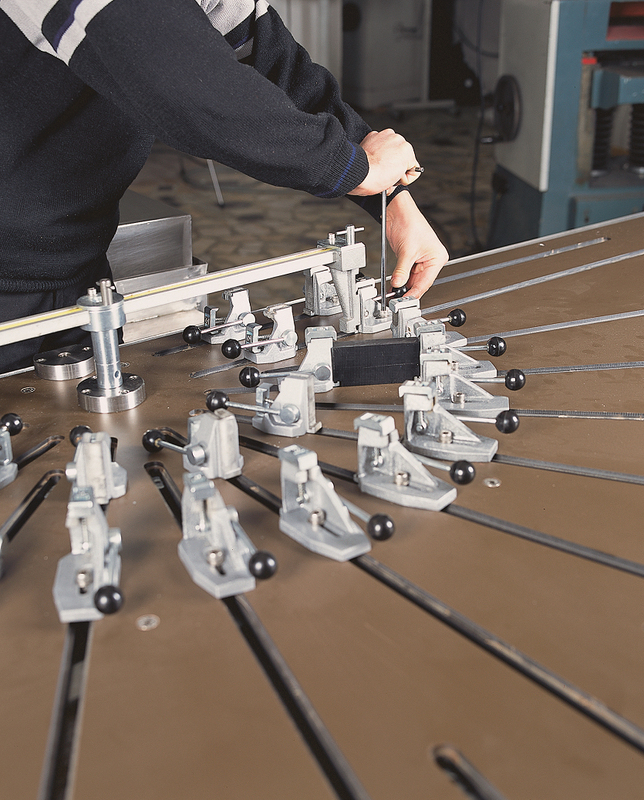 The traction apparatus may be used to facilitate the procedure of pulling the heated profiles including its padding materials into the bending mould. This unit is used to immerse the heated profile with padding into the oil. They are stainless steel. This part allows the heated profile including its interior padding to be adjusted to the level of work bench.